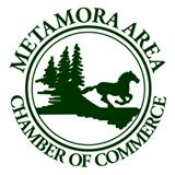 On behalf of the Metamora Area Chamber of Commerce, we hope you will find this website informative and useful. This website and our Facebook page are frequently updated with community and member announcements and upcoming events. Please subscribe to our newsletter on the Contact Us page to keep abreast of events in our area. One of the events you will find information about on this website is the annual Metamora Country Days and Hot Air Balloon Festival, a parade, arts and crafts vendors, children's activities, food and many other attractions. In 2017 the festival welcomed 10,000+ visitors to our area! Our newest event, the Wassailing Celebration was off to a great start in 2018 with many visitors coming to Metamora for a first time; many continued to visit the area throughout the holidays. The Metamora Area Chamber of Commerce strives to make our community a better place to live and work. We will continue to sponsor Metamora Country Days and Hot Air Balloon Festival and the Wassailing Celebration and to support any other event that promotes Metamora area businesses and our community. The Metamora Chamber has formed a partnership with the Metamora Downtown Development Authority (DDA) to continue to support our community. Thank you for supporting our local community of Metamora, Michigan. Raised in the Oxford area, Walt moved to Lapeer County in 1975. He has been in the banking field for forty-one years now working as a Business Development Officer for Lakestone Bank & Trust Co. Having served in numerous capacities Walt is the current Treasurer of the Imlay City Rotary club. He is also the VP of the Oxford Chamber of Commerce and has served as chairman of the Imlay City Blueberry Festival for ten years and assisted with the Oxford Lone Ranger Festival for the past four years. Walt has also assisted with the Metamora Harvest Horse and Hounds festival. Having served the last five years as Mayor of the City of Imlay City, Walt still serves on the Imlay City Planning Commission and is current chairman of the Imlay City DDA board. Bob has been a resident of the Lapeer/Metamora area since 1979. He has been married to Kathy for 38 years and has three children. He is the owner of Robert Warren Design located at 3520 Hadley Road, Hadley, MI 48440. Bob creates custom metal work, rails, gates, fences and art design. He has been involved with Metamora's Harvest, Horses & Hounds Festival and is a member of St. Paul Lutheran Church in Lapeer. Mary Chris has worked in marketing and fundraising for non-profits, corporations and schools for over 35 years. She is the co-owner of The Fox's Fiber Den and manages the family business, Equifit. She belongs to many non-profit organizations and enjoys volunteering her time assisting these organizations. 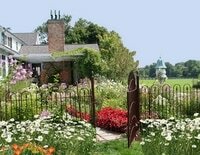 Her family moved to Metamora in 1988 - as she put it at the time, "It's like coming home to vacation every day!" Along with her husband, she loves spending time with their Morgan horses, their bouncing Bearded Collie, and their two adult children.